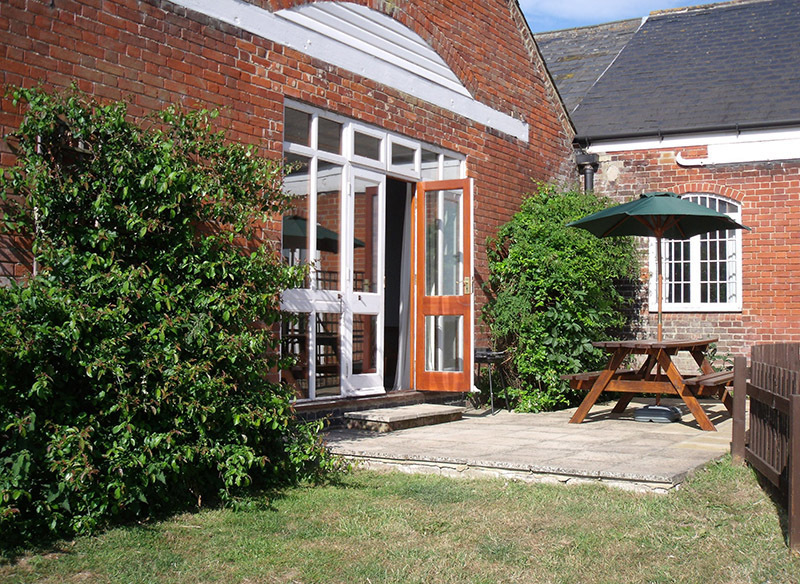 Whatever you’re looking for, there’s something for every sort of getaway at Hall Farm Cottages in Norfolk. We’re based on the northern edge of the prestigious Norfolk Broads, with acres of natural scenery right at our doorstep. All of our cottages in Norfolk are just a short walk or car journey from quaint market towns, gorgeous beaches, and busy urban centres alike. But we’ve written extensively about what you can find outside our cottages; now we want to put the spotlight on our homely holiday cottages themselves. This week, we’re highlighting our popular Bridgeview Cottage and exploring everything you’ll get from booking with us. Bridgeview Cottage is a spacious family lodge that can sleep up to seven in three unique bedrooms, each of which is equipped with move-and-link beds. This makes it suitable for a larger group getaways and cosy couples retreats alike. The cottage is fully wheelchair accessible, and the downstairs bedroom is a large en suite with a roll-in shower. Upstairs, you’ll find the other two bedrooms nestled underneath the eaves of the house – but both rooms are still spacious and are afforded plenty of light. Each room is fully-furnished to a very high standard, making you feel right at home while you’re away. All our three bedroom cottages open onto a common courtyard with a games room at the north side. If you’re planning a large group getaway to a cottage in Norfolk, and are thinking of hiring all the cottages, you can use the games room as a large dining area for up to 50 people. Or, if you’re looking for a bit more privacy, you also benefit from a private garden area with stunning views over the water meadows. Bridgeview Cottage is a self-catering lodge with a fully sized cooker and large dining area. Or, if you’d rather put your feet up and leave the oven gloves at home, just put something in the microwave before putting your feet up in the living room. All our cottages in Norfolk have WiFi, so whether you’re planning your next walking route or are simply looking for something to binge on Netflix over a long weekend, we’ve got you covered. At Hall Farm Cottages, we’re happy catering to any sort of getaway. Whether you’re just getting away with your partner or are trekking across the country with all your extended family, our cottages in Norfolk are the perfect destination. Feel free to contact a member of the team if you’d like to talk about booking our Bridgeview Cottage, or if you’ve got any questions about our other cosy cottages.